I just bought the starting box here at Jake, but I am curious about what are the main differences between Bertrand (https://bertrand.bio) and Jake's food. They say "BERTRAND is the world’s first meal replacement drink of its kind certified according to USDA regulation". Someone from Jake can explain why we should go for Jake, instead of Bertrand? I think it's a nice question, since many of your possibly long term clients can have the same doubts. Bertrand seems to be more coarse and chewy. Subjective but probably the most important. Jake is hard to beat here (in my personal opinion). 4) Compare the convenience of preparation (if you care). 5) Why not eat both if you like both? - Balanced diet (it might fill some "wholes" in either one if there are any). P.S. : I do not know if I care too much about some random certification - Remember it might just be an expensive sticker. They seem to position themselves a bit more in the vegan/hiking/organic world visually. What is the doubt? You can just compare them, based on whatever criteria you find important? I can understand that you would like some information about the main differences between Bertrand and Jake, as we share the concept of complete food: food that contains all the nutrients that you need. As Daniel already points out below, there are different aspects on which you can base your choice. An important one to start with would be taste, for me. I have to say that I have never tried Bertrands products, so I cannot say a lot about it personally. But, objectively, I see that while we offer the flavours banana, forest fruit and oaty vanilla, Bertrand offers vanilla, bilberry and apple. Texture can play a role as well though. If we take look at composition, there are some differences. It seems like Bertrand overshoots some vitamins and minerals here and there, probably because they need to come from their organic ingredients, as that’s their vision on complete food. Which would likely be fine, but you could take a look at the different micro’s to find out for yourself. There are some more differences in composition (amount of macronutrients for example) between the products, but it might be a bit too much to point them all out here. You can compare the nutritional values here for Bertrand and here for Jake. 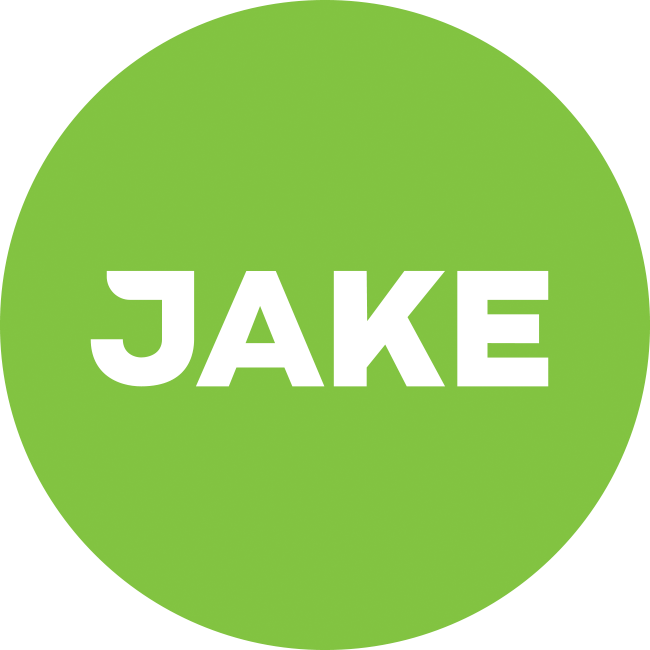 An important aspect of Jake, for me, is convenience. Which is why I like that the shakes are packed per meal. As NXS pointed out, base your choice on the criteria that you find important in a product. And don’t forget to always listen to your body and choose a product that makes you feel good. We definitely believe Bertrand does a nice job as well. Actually, as Daniel already said, consuming both if you like both is not a bad idea at all. I tried Bertrand actually some time ago and in my opinion the tastes are very different. Bertrand’s flavour descriptions always contain the word “nutty”, and that’s the part I personally couldn’t stand, I think. But tastes are obviously different. A big difference is also the packaging. While jake comes in packages per meal, Bertrand comes packed “per day”. This means having to measure it with a scoop to get the right amount for your meal every time. On the other hand, this also gives you more flexibility for each individual meal. I personally don’t like having a big bag opened for more than a day, when I am only drinking 1-2 shakes per day. If you’re a 100% kind of guy, then that probably isn’t a problem for you. The last difference that stood out for me, is that Bertrand packs ~2200 kcal per day, whereas Jake classic stays pretty close to 2000 kcal. I would assume this is because Bertrand is aimed towards physically active people like hikers etc. When complete food shakes make up a large part of your diet, these 200 kcal difference per day can have an effect on your body weight long term.